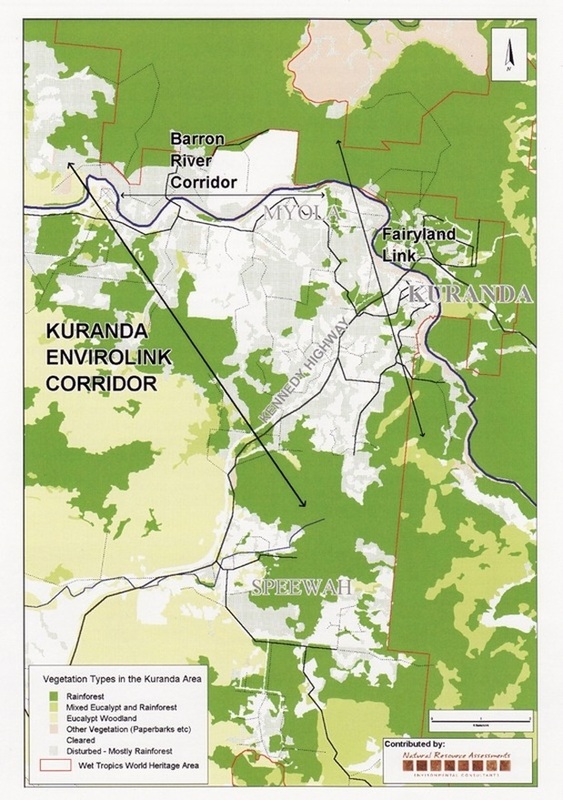 This map was contributed by Natural Resource Assessments in Cairns, as part of the ‘Welcome to Kuranda’ booklet put out by Kuranda Envirocare in 2003. Dr Bruce Wannan arranged for the map’s production and contributed information to the booklet. See Vegetation Types for this material.